In 2016, sales of wearables weren’t as strong as many had expected. Devices struggled to gain traction outside of early adopters, and experts state that smartwatches and other wearables do not yet have a compelling-enough use case to win over the holdouts. In 2017, the chief focus of wearable manufacturers must be to become essential to the lives of their users. 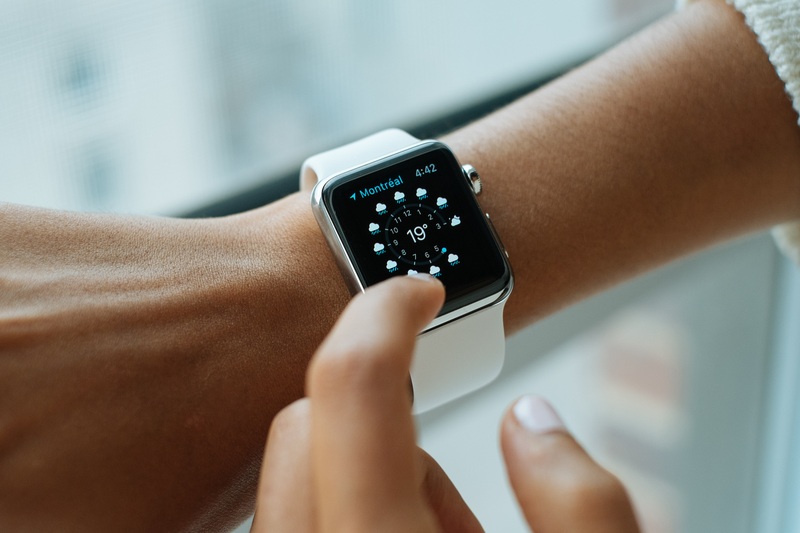 This is already true in many healthcare organizations, where nurses and doctors use wearables to keep track of their personal fitness as well as their location should they be needed for medical assistance. But what other sectors could benefit from the added digital experience wearables provide? To us, it’s clear--wearables can be used to enhance the retail shopping experience. Brick & mortar stores could potentially revive in-store engagement with an increasingly mobile audience using these handy devices. But how? Wearables have created an entirely new way to reach consumers – especially when these devices are equipped with location services. While the ability to target a customer at a specific location is not new (mobile devices have been doing this for years), the fact that customers can now be reached on a device they are wearing significantly increases the likelihood of a response. According to a recent study, 67% of wearables owners find a dynamic user experience that varies based on their location more useful and engaging. Location services on wearable devices allow retailers to increase customer engagement in a variety of ways. For starters, retailers can leverage location services on a wearable to target nearby shoppers with messages that encourage them to stop in and buy something. By offering coupons or discounts, retailers can build brand loyalty and incentivize consumers to buy in the moment. Equipping wearables with location capabilities allows retailers to tailor user experiences to customers that sets their brand apart from the competition. It’s time to take advantage of this opportunity! Find new ways to engage shoppers and direct them to items that complement items already purchased. Last year, research showed that nearly half of shoppers say that wearables will improve their experience by notifying them of personalized offers. For example, retailers could market to users via their wearables to point customers to newly stocked items, items on clearance or any other sales going on in the store. A unique way retailers can get in on the wearables action is to partner with insurance companies that offer discounts to policyholders who use fitness wearables and actively monitor their health. For example, John Hancock is one of the first companies to give ratepayers a discount when they use Fitbit wristbands for exercise tracking. Policyholders can earn points for physical activity or other healthy living choices, and apply those points for rate discounts or other rewards. Retailers should jump on this trend and join in on wearables incentive programs. By partnering with insurance companies that offer this type of benefit, retailers can reach those customers and send coupons to encourage them to keep making healthy choices. For example, retailers can show their support for consumers choices by providing discounts on healthy food or fitness gear. This is a great way to garner recognition as a brand that supports healthy lifestyle choices. As retailers strive to build the perfect omnichannel experience – a multichannel approach to sales that tries to provide a seamless shopping experience, online and offline – wearables will serve as an important touchpoint in that journey. When retailers and marketers use what they know about the customer’s habits, they can create Personas, or segments for specific types of shoppers, allowing them to offer a more personalized shopping experience across any platform. These data insights provided by location help retailers better understand their customers and their needs. Leveraging the insights allows retailers to develop an enhanced brand experience for the customer. Along those lines, REI is making strides to connect the online with the offline through their suite of mobile apps. Customers can use the retailer’s apps to find trails to hike, bike or ski in addition to shopping for the specific gear for each activity. This same principle should be applied to smartwatch and fitness apps as well. With the continued proliferation of wearables to the market, there will always be new ways to use this technology. Technology has always propelled the retail industry forward – whether it be with online or mobile shopping for brands, or opening up the possibility of e-marketplaces and web-only retailers. Wearables are certainly no different. Digging deeper into data collected by these devices gives retailers a new, dynamic way to interact with customers to provide a personalized and unique shopping experience.